With the right kind of eyes the colorful, maintenance-free Plastic Tracking Panel is the bridge of a spaceship exploring the depths of the universe or a futuristic race track . 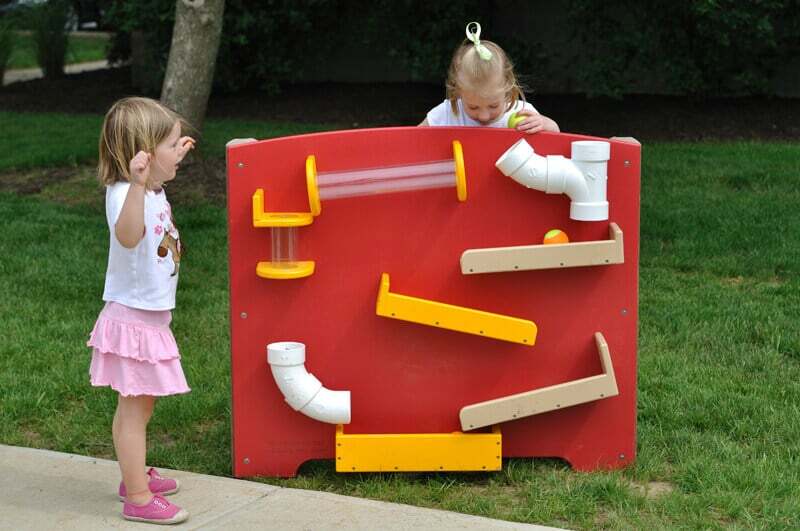 The tubes, pipes, and chutes are limited only by the imaginations of children, all while they develop their critical thinking, motor, and socializations skills. 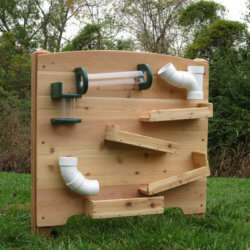 The Adventurous Child outdoor playgrounds are as fun as they are functional. 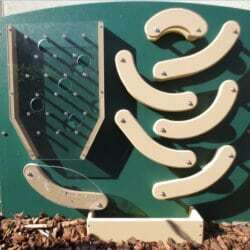 The Tracking Panel is also available in cedar for your natural playground.